According to recent reports, more Americans are working remotely than ever before. A Gallup survey released in 2017 showed 43 percent of employed Americans said they spent at least some time working remotely. That was an increase of four percentage points since 2012. 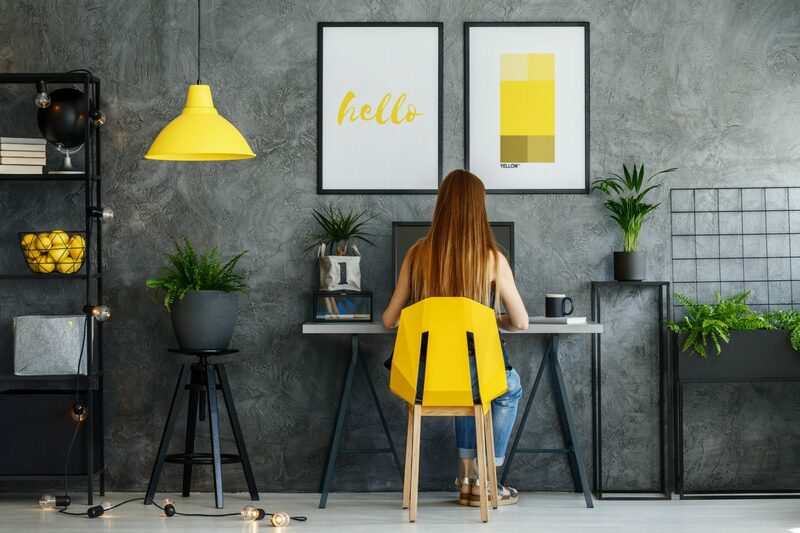 The Gallup survey authors said they continue to find that flexible schedule opportunities and the ability to work-from-home play a significant role in an employees’ decision to take a job or to leave it. Employees are pushing for more employers to break out of the mold of traditional scheduling and work environments. Employers see the benefits regarding productivity, and the ability to better deal with gender and skills gaps. Contrary to misconceptions, a lot of remote workers tend to work more than they did in the office. Of course, not all industries are well suited to remote work. Among those industries, the ones that seem to be least equipped or open to remote work include retail, as well as education, healthcare, and manufacturing. That all makes sense, and the industries where there is the most time spent working remotely include finance, real estate, and insurance. Since remote work is no longer something that’s rare, there are challenges and things to consider. One big area that a lot of employers are grappling with is how to handle scheduling. The following are some tips and some ideas for businesses who want to find ways to manage scheduling for their remote workers. When employers embrace remote workers, they get the benefit of cutting overhead costs, having access to the most talented workers, and employees are happier which is great for retention. At the same time, they have to balance this with not seeing them every day. For businesses with remote employees, it’s important to have time and attendance systems in place. When a company has a general scheduling system in place, it’s easier to then also keep track of things like sick time, and paid time off. If a business has remote employees or even employees who work from home one or two days a week, and they don’t have a scheduling system it can quickly become a mess for everyone. What’s great about attendance software is that it doesn’t just keep track of who’s working and who’s not. It helps employee satisfaction because it lets remote employees easily tell their employer when they’re available and when they’re not. Of course, with a scheduling system, you can also keep up with what you’ll need for completing payroll as well. You may determine that with your business and your employees, it doesn’t matter if people are working during set business hours. What may be more important is that they’re putting in the necessary time and getting the work done, even if they’re doing it in the middle of the night versus the early morning. If this is something that works fine for a particular employee or the organization, you can still use time-tracking just to make sure their productivity level is where it should be, even if they’re not checking in at a specific time each morning. To alleviate confusion and frustration, when it comes to employees being sick, there needs to be a specific policy for remote work. Employers need to outline when they expect employees to be working from home, and when they don’t. If an employee has the flu, they shouldn’t be working from home or otherwise. If they have a headache, they can probably work. It’s really up to the employer to determine what their policy is when it comes to illness and remote work. Some employers also create policies that allow employees to work from home specifically when they are ill to the point they could be contagious or shouldn’t come in, but when they’re not so sick that they’re bedridden. Again, if this is something that your business is looking into, make a policy and write it down. While it is a great opportunity for employers, telecommuting can come with downsides. One such downside is the risk of people taking advantage to simply stay home from work, or not being productive if they’re working from home. Use your attendance and leave management system to track patterns. For example, do you have an employee who always seems to be working remotely the day after a holiday weekend, or not checking in with the team? Having the right technology in place can help businesses prevent negative patterns, or at least identify them quickly. Certain positions do require being available at specific hours of the day. For example, if your remote employees are working in customer service, customers expect they’ll be available during traditional business hours. However, for many positions, this just isn’t required. Your remote employees may start working at 4 a.m. so they can finish in the early afternoon. On the other hand, some remote employees may find they’re most creative and engaged during late night hours. That may be fine, but you should try to include some face-to-face time where everyone can come together and check in at least once a week. Of course, depending on your location, face-to-face time might mean a video chat. It doesn’t matter how it happens, but try to pull your entire team together for that set-in-stone, weekly scheduled meeting. This is the opportunity for everyone to share what they need to, ensure milestones are being met, and stay on the same page. Finally, when scheduling remote employees, managing sick days, and providing them with paid time off, the most important thing to keep in mind is to set expectations. If you’re expecting your remote workers to be available even during their time off, you have to let them know (although this might not be the best expectation). If you’re expecting remote employees to be readily available during set times of day, they need to know. They also need to know the number of hours you expect them to put in, what they should do if they are sick and are going to be unreachable, and how they should handle vacation and time-off requests. As part of this, you should make sure remote workers are fully aware of and well-trained on their attendance policy, and what happens if expectations aren’t met. 1 Pings/Trackbacks for "Creating Schedules for Remote Workers"